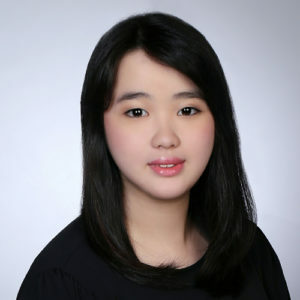 Qian Hui Ho is an undergraduate student at the Yong Siew Toh Conservatory of Music in Singapore. Ms. Ho has won numerous awards, both musical and extracurricular, including the Jellinek Award with the Guildford Symphony Orchestra; the bronze, silver and gold Duke of Edinburgh Awards; and the Gifted Young Artists Bursary from the National Arts Council of Singapore. Ms. Ho has performed for the late president of Singapore, S. R. Nathan, and the late Minister Mentor Lee Kuan Yew. She is greatly interested in working with the community and the Southeast Asian region, and worked with Cambodian musicians on Cambodian composer Him Sophy’s Bangsokol’s War Requiem (about the Pol Pot regime). In 2016, Ms. Ho collaborated with musicians from Southeast Asia during the SEADOM conference in Laos to create a unique composition that incorporated various traditional musical styles. Additional projects include collaborative work with the Alexandra hospital, Mahidol University, and Laos National School of Music and Dance. In addition to her academics and community outreach, she freelances with the Singapore Symphony Orchestra.